Something happened yesterday, which only struck me this morning as deeply symbolic. I love fountain pens, and inks, and ink bottles, especially reds and greys. I sent for a few bits, including the picture below. 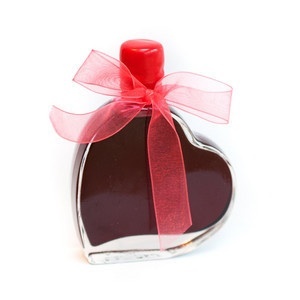 A heart shaped bottle of Herbin Rouge Opera, in a silvery tin. It wasnt till this morning that the depth of how symbolic it was sunk in….a red heart, full of red ink, the seal cracked. A broken heart is what I have….indeed….